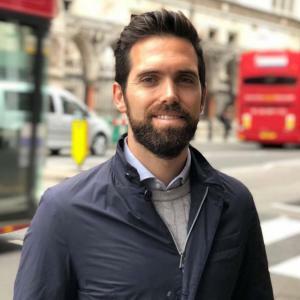 Andrea is currently Global Senior Brand Manager at Unilever, where he leads a small team working on several innovation projects for Dove deodorants. In his current job, he has developed an extensive experience in developing new product mixes and full communication campaigns with outstanding pre-testing as well as in-market results. The most recent examples are the launch of a new Dove Go Fresh deodorant, which quickly established itself as a best seller in many key markets globally, and the creation of a highly successful communication campaign to support the introduction of Dove Invisible Dry deodorant in North America. He has been working at Unilever for just about four years, all of them proudly spent on the Dove and Dove Men+Care brands. Prior to Unilever, he has worked for Philips in a number of global, regional and local marketing roles. Marketing is his biggest passion and he is particularly interested in uncovering brilliant consumer insights, partnering with his R&D colleagues to craft superior products that consumers will love, and using data and technology to connect with consumers at the right time, in the right place, and with the right message. Besides marketing, he enjoys sport (he trains regularly at a Crossfit gym in London and plays football with friends) and cooking. He is a keen traveller and before the UK has lived in Italy, Netherlands and South Korea.